Considering your cleaning needs and if you can afford a professional janitorial service? Think about the costs you may be incurring without one. If you’re contemplating whether or not you can afford to outsource your cleaning to a professional janitorial service, be sure to give careful consideration to not only the initial upfront costs but also the long-term savings that might very well be likely. It’s very possible that hiring a commercial cleaning company won’t simply improve upon the overall first impression of your business but also help save you money. 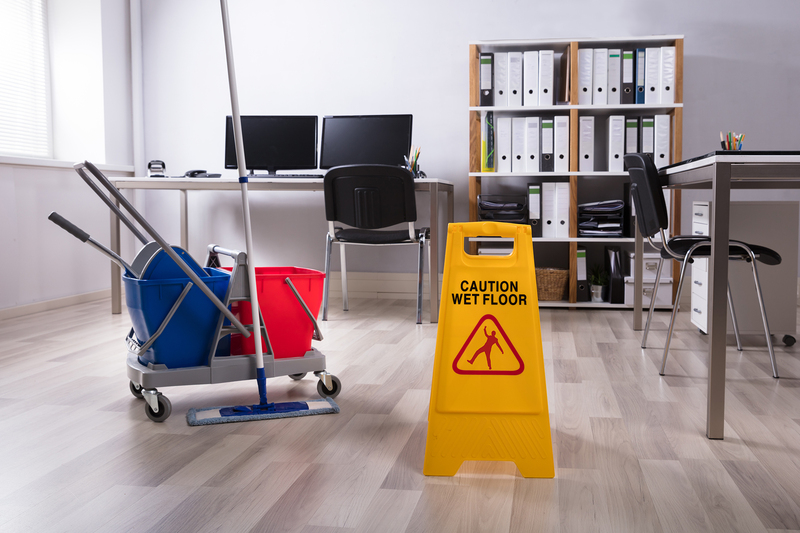 With a commercial janitorial service there are significant benefits that will help save you money, and time and stress as well, ensuring that your business makes not only a great first impression but establishes a consistent reputation for cleanliness and care every day. Prevent small issues from becoming huge problems. When you rely on a consistent, regular professional cleaning and maintenance service, you know that small problems are being addressed quickly and immediately. They won’t have time to evolve into bigger, much more expensive, issues due to neglect and lack of expertise.For instance, regular cleaning allows for a small stain in the carpet to be immediately treated and removed, preventing it from becoming a larger, deeply embedded stain that can’t be removed. Once stains are embedded within the fibers of the carpet, they cannot be removed and the carpet will look unsightly until, ultimately, it has to be replaced. Enhance employee experience and productivity. A clean, well-cared for and organized workplace only serves to inspire the same in the employees who work there.The workplace environment influences employees’ productivity, performance, and well-being. No matter the industry, maintaining a clean workplace helps keep staff members safe, healthy and efficient, not to mention, happier. Working in a clean environment can increase employee retention rates. Improve customer satisfaction. Entering a clean, organized environment helps to reassure clients that yours is a business that is professional and worthy of their trust.Customers expect to find things clean and organized when they enter your business. Seeing otherwise will be an immediate turnoff. Note that this is particularly true when it comes to your public restrooms. Companies that make regular cleaning a priority, ensuring their offices are clean and welcoming, will see an improvement in customer satisfaction.A business that doesn’t prioritize a clean environment might have customers wary of working with them, potentially impacting the bottom line of the company. If you’d like to learn more about how Decca Janitorial Services can help your company with commercial cleaning services and save you money while providing a clean and healthy environment for your employees, contact us today!